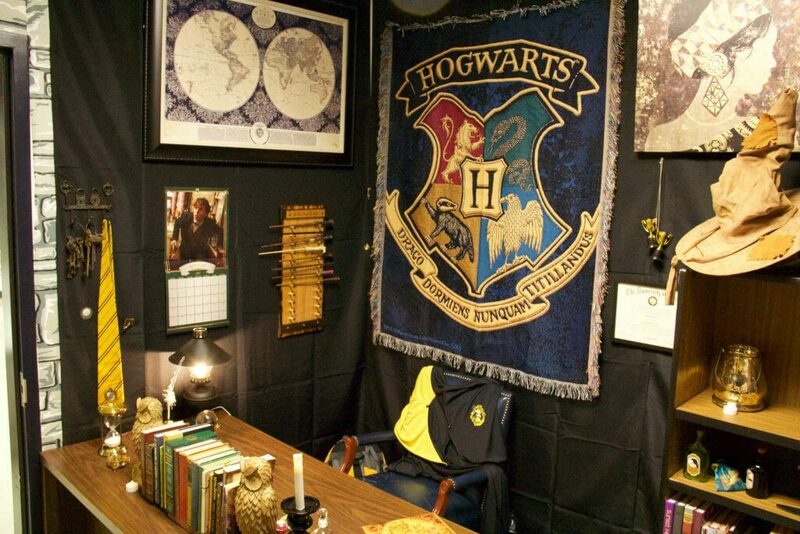 A school teacher from Oregan is receiving much praise online after turning his classroom into a magical Hogwarts den. 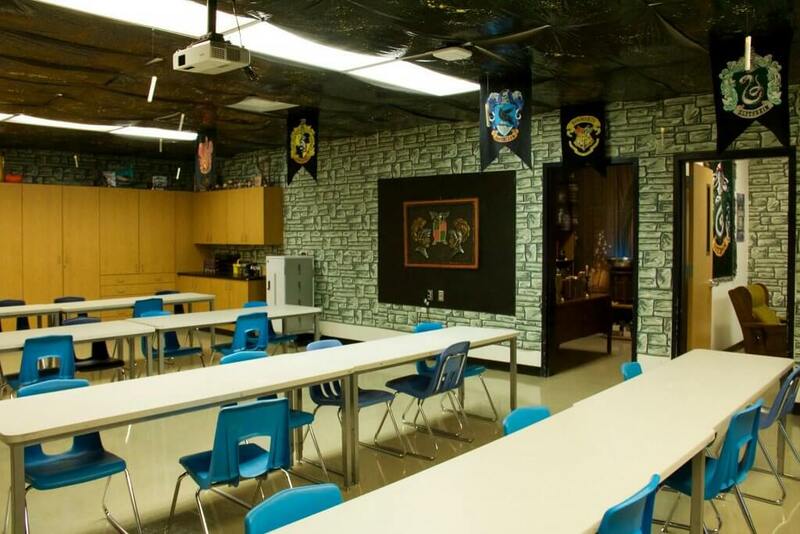 Kyle Hubler, a maths teacher at Evergreen Middle School in Oregon, USA decorated his classroom like a Hogwarts study room, complete with different tables for the each of the houses, quills and inkwells, loads of books, and a sign marking the door to enter as Platform 9 and 3/4. 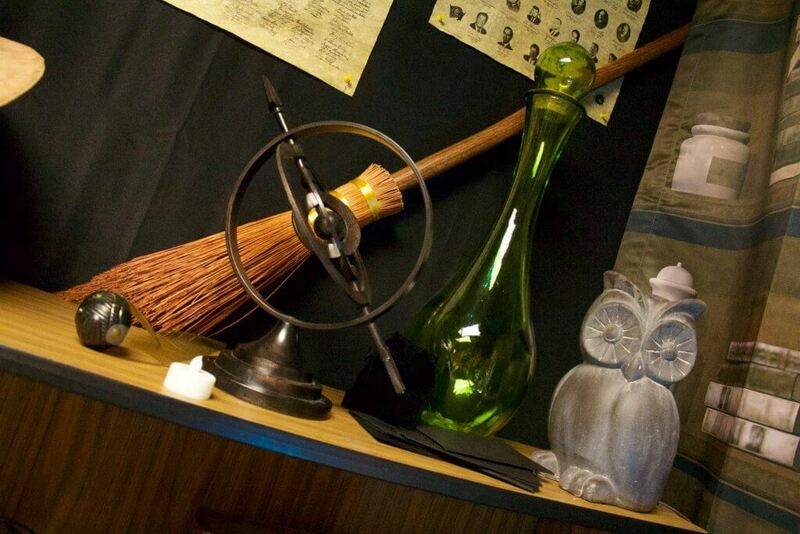 There is even a a Pensieve (a magical instrument used by the Hogwarts Heads to view memories). 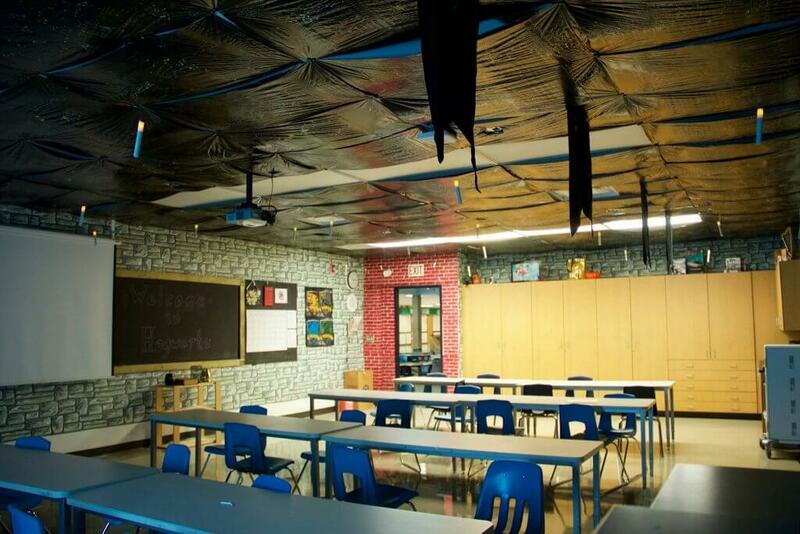 Hubler also gave his students a personality test, and sorted the class into houses based on their answers. 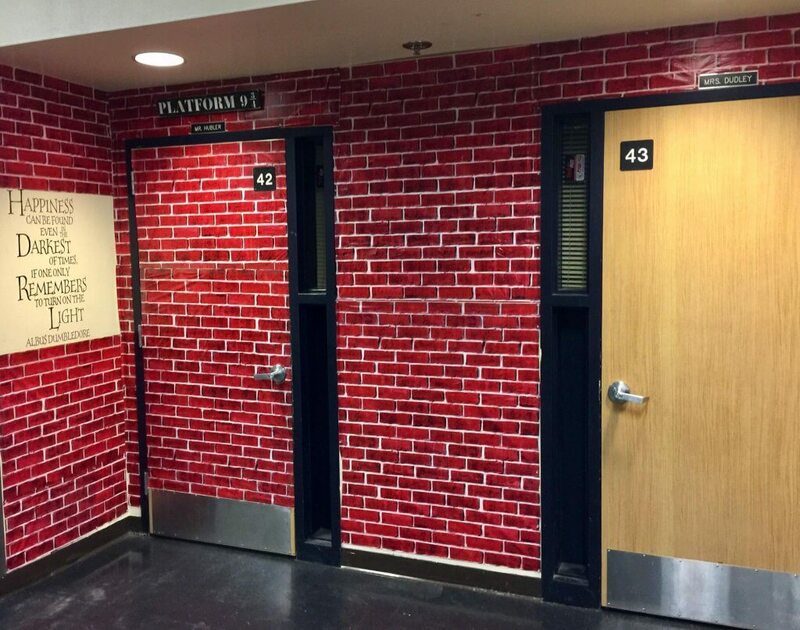 For Hubler, the Harry Potter theme is more than just a fun decorating idea — it’s an opportunity to make students feel comfortable during their middle school years. 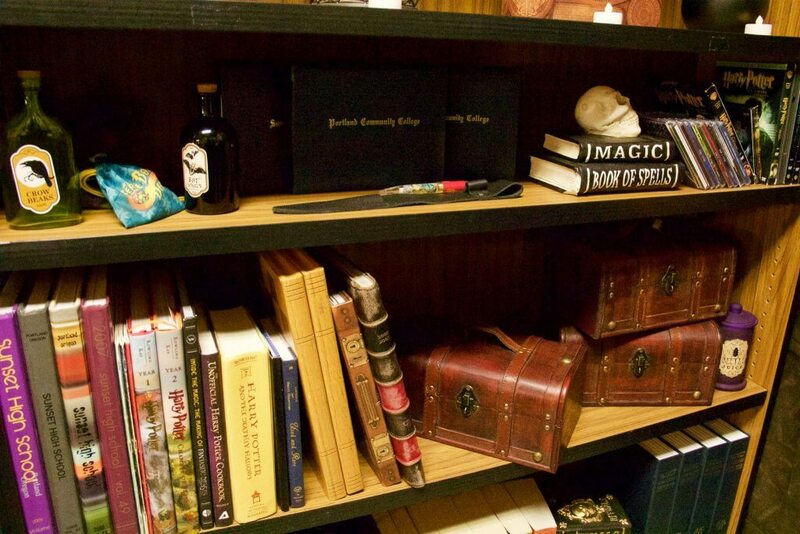 In fact, Hubler said that many of the themes and ideas in the book have helped him be a good teacher. 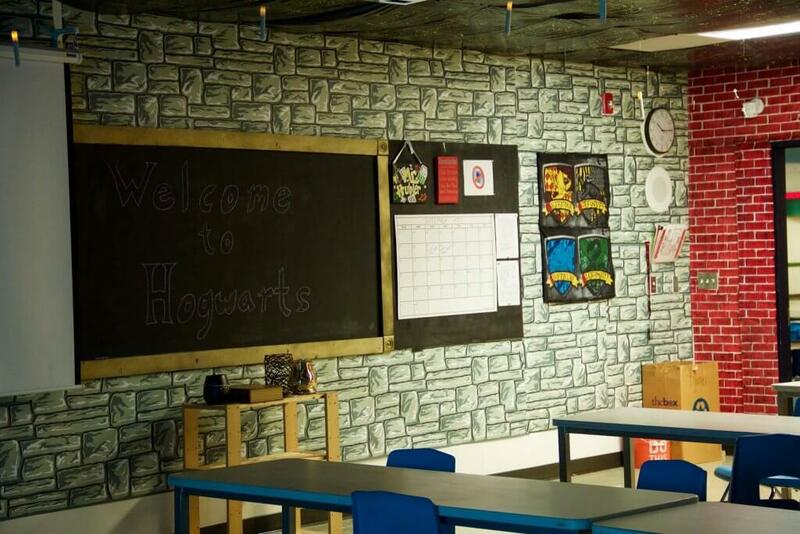 “As I grew up, I became more skilled in socialising and developed stronger connections with friends, but the lessons in the books about acceptance, loyalty, and integrity stayed with me and inform a lot of the philosophy I have in my approach to teaching and how I interact with my students,” he said. 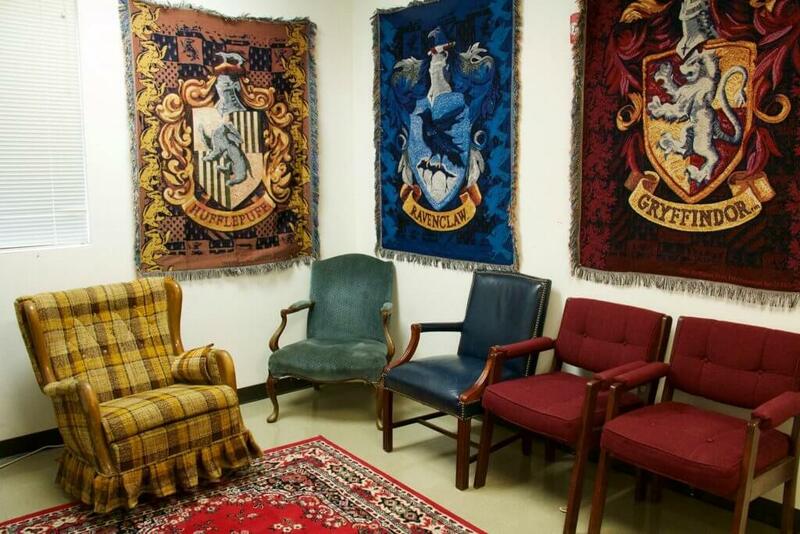 See Hubler’s Hogwarts classroom in all its glory below.